Rahul Gandhi to contest from Wayanad too. Has the party conceded defeat in Amethi? Rahul Gandhi is not contesting from Wayanad in response to ‘popular demand’ from the southern states, but because he smells chances of a defeat in Amethi. In one of the first signs that the Congress fortress in Amethi is threatened, party president Rahul Gandhi has decided to contest from Wayanad in Kerala in addition to his traditional base Amethi from where he has been contesting and winning since 2004. In addition to Amethi, UP, Congress President @RahulGandhi will also be contesting from Wayanad, Kerala, for the Lok Sabha 2019 elections. While the party maintains that the decision follows requests from many leaders from South Indian states of Kerala, Tamil Nadu and Karnataka urging Rahul Gandhi to contest from their states, it is well known that a person cannot keep two seats. So, Rahul Gandhi would have to vacate one of the seats post elections supposing he manages to win both. Now, any national leader would want to have his feet firmly grounded in Uttar Pradesh considering the road to the top most chair in Delhi passes through UP with 80 Lok Sabha seats. So, Rahul Gandhi is not contesting from Wayanad in response to ‘popular demand’ from the southern states, but because he and his party do smell chances of a defeat in Amethi. BJP leader Smriti Irani has indeed emerged as a formidable challenger to the Gandhi scion in the constituency long considered a Congress bastion. The BJP, it needs to be remembered, has not won Amethi since 1998 when Sanjay Singh defeated Satish Sharma of the Congress to wrest the seat from the party. He was, in turn, defeated by Sonia Gandhi in 1999. She later vacated the seat for her son Rahul and contested from Raebareli instead. The entire BJP top brass has pulled its weight to wrest Amethi from Rahul Gandhi to score a psychological point over the Congress. 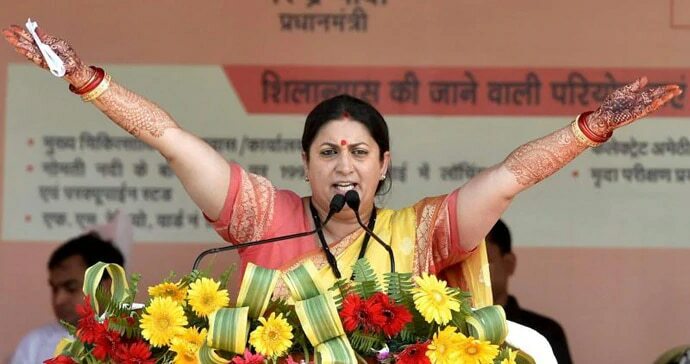 In early March, Prime Minister Narendra Modi himself reached the constituency announcing a slew of development projects amounting to Rs 538 crore providing additional strength to Smriti Irani’s candidature. Earlier, BJP president Amit Shah and UP chief minister Yogi Adityanath too had held rallies in Amethi telling people why they should choose Irani over Gandhi. In 2014, Irani lost to Rahul Gandhi but not without giving him a tough fight. Gandhi won by a margin of 1.07 lakh votes over Irani. But in 2009, Gandhi had won the seat by a margin of over 3.70 lakh votes. The Congress is virtually a non-contender in Uttar Pradesh with both Samajwadi Party (SP) and Bahujan Samaj Party (BSP) refusing to enter an alliance with the party. While the two parties decided not to field any candidate in Amethi and Raebareli against Rahul and Sonia Gandhi, respectively, BSP chief Mayawati has been unsparing in her attacks on the Congress. The Congress did some firefighting by suddenly announcing the introduction of Priyanka Gandhi as an active member of the party, but the party was found completely clueless after a wave of nationalism swept the Hindi heartland post the February 26 Balakot airstrikes. Smirit Irani, on the other, has been in campaign mode in the last five years in Amethi. This has sent ripples down the Congress leadership and Rahul Gandhi’s decision to fight from Wayanad is nothing but an attempt to save itself the embarrassment of losing out to Irani and thus being forced out of Lok Sabha. But the decision is sure to demoralise Congress cadres who would see this as a rsesult of the party losing ground. The Congress is fighting 16 out of 20 seats in Kerala. The rest of the seats have being given to allies which are part of United Democratic Front (UDF) in Kerala. Wayanad is a constituency which has come into existence in 2009. Congress has won the seat both times. Rahul Gandhi will be up against PP Suneer of CPI. If the decision was taken only to enthuse the cadres of south India, the Congress should have fielded either Sonia or Priyanka Gandhi from the constituency. 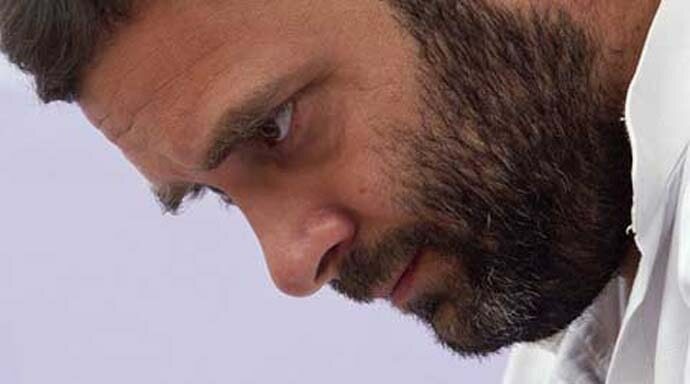 The Congress president himself contesting two seats is a sign that the party is not sure about the Amethi results. Also read: With Modi's 'AK 203' package in the Congress borough, can Smriti Irani have a shot at wresting Amethi from Rahul Gandhi?